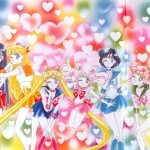 Sailor Chibi Moon may have the word “chibi” in her name, but she’s not the only “chibi” around! Enter the popular webcomic Moon Sticks which has been entertaining moonies for over five years. 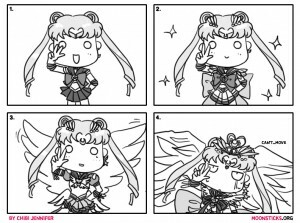 Moonsticks.org is a weekly four panel comic that transforms the sailor soldiers we know and love into tiny, adorable chibis and crack jokes that any moonie can appreciate. 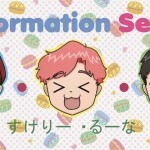 The creator of Moon Sticks, Chibi Jen, was gracious enough to answer my questions about how this webcomic comes to life. Anne Lee: First things first! How did you get into Sailor Moon? Anne Lee: I got into it around that same time too! So fast forward to 2009. 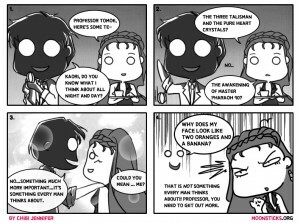 What made you decide to create your webcomic MoonSticks? Anne Lee: Sometimes great ideas simmer in the subconscious and then they just rise to top! 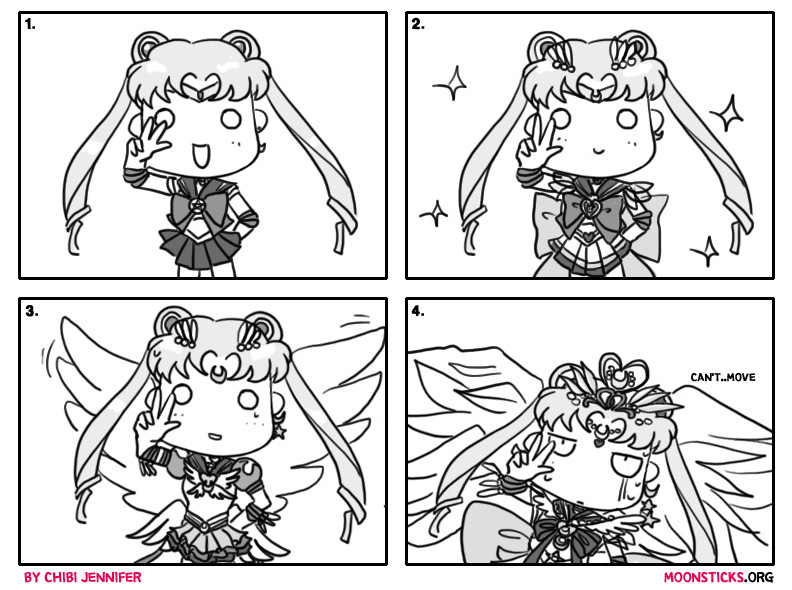 I must say, when I saw a MoonSticks strip for the first time, I was all, “EMERGAWD!! IT’S SO CUTE!! !” and exploded into a million tiny moon-shaped pieces! How did you decide on the distinct style? 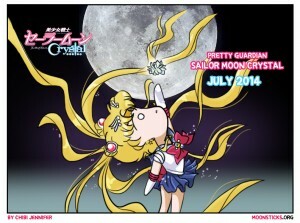 I’m guessing you took some inspiration from the chibis that were featured on Sailor Moon Channel? Anne Lee: I can totally see that. Tell me about what goes into making the weekly comic. Where do you start? Chibi Jen: I think coming up with an idea and finding ways to make it funny is the hardest part, so I spend a lot of time brainstorming. I do this on a daily basis, whenever I have a moment on my own, while sitting on the train, while I’m walking to work etc. I scribble and doodle a lot. Once I’m happy with an idea I start fleshing out a storyboard on scrap pieces of paper. I then do my research by looking up specific scenes, making sure all the details are accurate. From there, it’s a matter of drawing it up with my wacom tablet and giggling at my own jokes. Anne Lee: As I was going through the comics, I was thinking that maybe you would favor one season over another, but it seems pretty equal to me! Do you go out of your way to do that? Do you think you favor any characters over others? It does become quite a challenge sometimes when I’m working my brain away trying to come up with something for a character I haven’t thought too much about. I want to produce quality comics that I’m happy with, so sometimes it’s best to just go with the flow and make a comic based on whatever idea I like the best (at the time). Anne Lee: Changing gears a bit here–you are a graphic designer/web developer by day and obviously those skills come in handy with creating moonsticks.org. 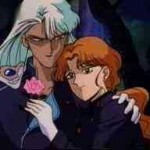 How has being a Sailor Moon fan (or the creator of MoonSticks) influenced other aspects of your life? Chibi Jen: Sailor Moon got me into drawing, introduced me to anime, fuelled my love for Japan and unlocked my passion for web design. 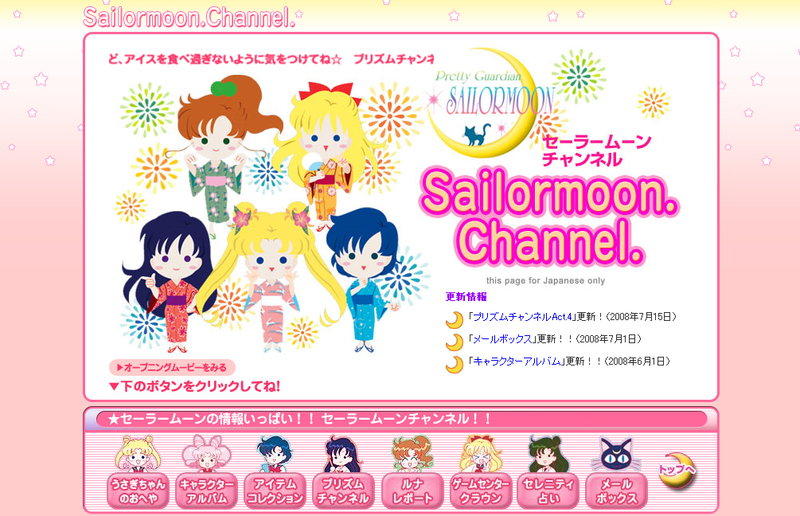 I became interested in web development while learning to build my first Sailor Moon fansite (I really just wanted a Sailor Moon site!) After High School, I left for University where I studied Digital Media and decided this was the industry I wanted to work in. Now it’s both my job and my hobby! I still try to keep these two things separate, and making comics is my way to relieve my childhood memories. Anne Lee: I love hearing stories like that! I can’t wait to see with what you come up with next. Thank you so much for taking the time to answer my questions! 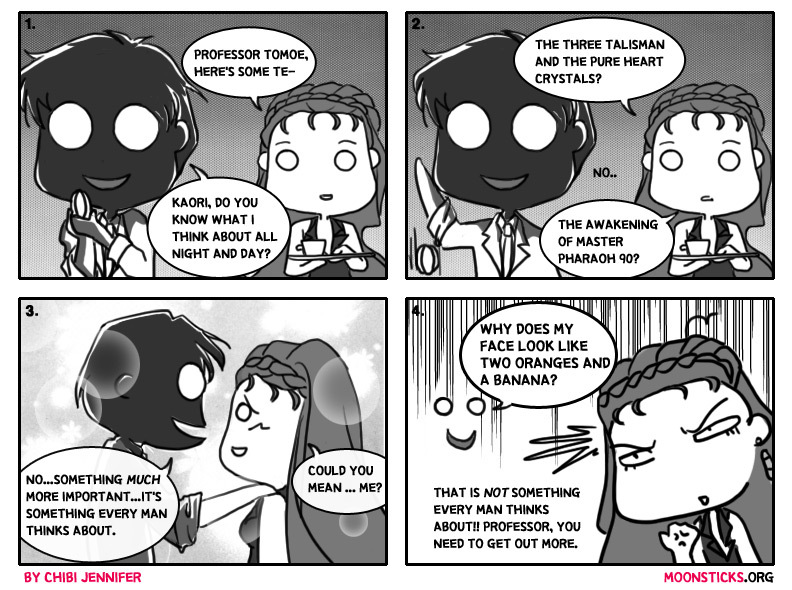 Next post: The Meaning of Moon Prism Power, Make Up!